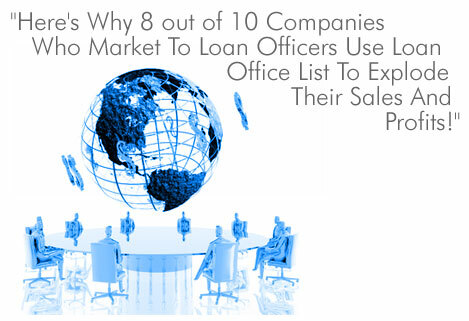 "High Quality Loan Officer and Mortgage Broker Lists, Best Prices...."
Loan Officer List: Offering Direct Mail and Email Marketing Lists for Loan Officers since 2003. 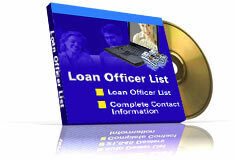 Our Loan Officer Database contains over 55,000 Loan Officer Contacts plus Email Addresses - updated quarterly. Our List is perfect for Direct Mail, Email and Telemarketing campaigns. If you are Marketing to Loan Officers and Mortgage Brokers, we can provide you with High Quality, Cost Effective Marketing tools to meet your objectives. Thank you for visiting our site…..